So the House of Lords, or prominent members of that place, have urged that all investigations into the north’s past be halted. It seems a joint letter to Karen Bradley, our current proconsul, has been signed by former British secretaries of state : Peter Hain, John Reid, Paul Murphy and Tom King. The letter is “supported”, whatever that means, by Chris Patten and Archbishop Robin Eames. Their contention is that the £150 million spent probing the past, including crimes by the British army, would be better spent on victims and survivors. This is a good point. If investigations were continued, there’s considerable doubt if the guilty would be prosecuted or even named. And Robin Eames along with Denis Bradley proposed some years ago to pay all victims of the Troubles, including paramilitaries, with a single £12,000 payment. Their Lordships also note that while the British army kept records of their actions, paramilitaries did not, which would mean a blatant injustice if both sides were prosecuted. I’ve never been in favour of victims of violence deciding on what would be an appropriate punishment for those who have inflicted violence. Justice is supposed to be sober and detached, and victims, given the pain they’ve suffered, are not. So it should be left to a judge and/or jury to decide a fitting punishment. However, that’s not what’s being talked about here. What’s being talked about is investigating the past and establishing the truth of what happened. 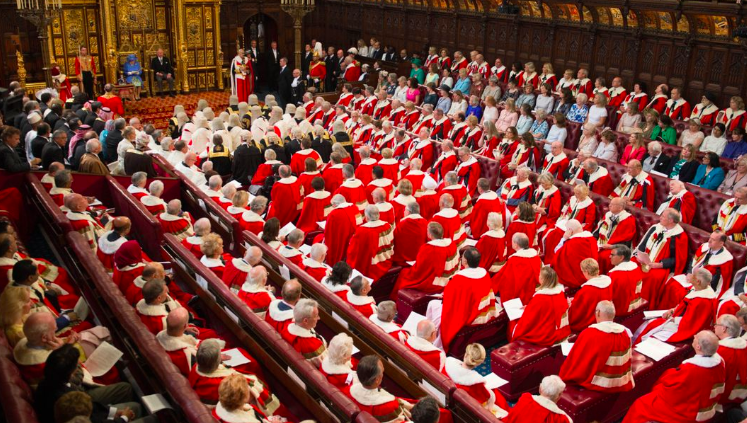 I would be completely in favour of victims and not a gaggle of Lords deciding on this. I recently watched the documentary film No Stone Unturned, about the Loughinisland killings, and it’s clear that the families involved desperately want to know the truth of what happened: who killed the six defenceless people in that pub as they watched a football game, and equally important, what part if any did the police play in covering up the identity of the UVF killers. There are dozens of such cases, and drawing equivalence between those killed by paramilitaries and those killed by the ‘security’ forces, or cases where there was collusion, doesn’t really wash. We pay the ‘security’ forces to protect us. The notion that they would pocket their pay and then kill rather than protect the public is beyond outrageous. 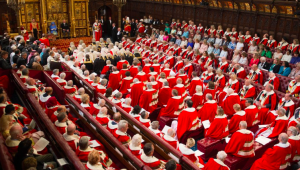 Since it’s the expense their Lordships seem focused on, maybe if they were to pass their £300 a day salaries into a pot for a year, that’d make some dent in the cost. Alternatively, a tiny proportion of the £45 billion spent on the Department of Defence would adequately cover any expenditure in letting victims’ relatives know how and why their relatives had to die. But I wouldn’t be optimistic. if there’s one thing the British establishment are united around, it’s stopping open disclosure of the part that was played by the ‘security’ forces in the bloody past, and more important, who gave them the OK to get involved in so many killings. If you think that’s too critical of the guardians of the peace, check Anne Cadwallader’s book Lethal Allies.